I should have called you. When we want to use could, should, would in the past, we use have and –ed or the third form of irregular verbs. I could have done it means that I had a chance to do it but I didn’t do it. I should have called you means that it was a mistake that I didn’t call you. I would have told you means that I didn’t call you because some condition wasn’t fulfilled. The flower couldn’t have known anything about the other worlds. 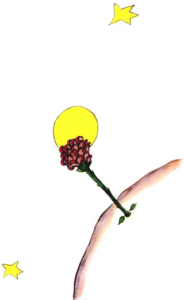 The little prince should have never left the flower. The little prince shouldn’t have listened to the flower. The little prince would have been able to watch the sunset many times.